Night Food ice cream promises to help you sleep better. Does it work? Move over, Halo Top. This low-calorie treat is fortified with ingredients that supposedly help your mind and body rest. Many people swear by drinking hot milk to help them wind down before bed, but can a sweet dairy treat actually help you get a better night's rest? That's the idea behind Night Food, a new line of "sleep friendly" ice creams. According to the company, about 80 percent of at-home ice cream consumption occurs shortly before bed, so that's a big part of why it focused its efforts on the icy treat. 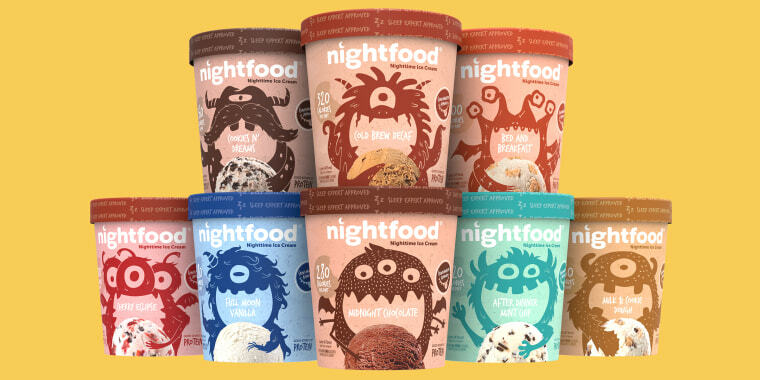 Night Food comes in eight flavors and, working with sleep experts, the company made several major recipe changes to traditional ice cream recipes — for example, it uses decaf coffee in the Cold Brew flavor. But a closer look at the label reveals some other sleep-friendly nutrients. Dominic Matteo, a health counselor and MasterClass instructor at Precision Nutrition, told TODAY Food that many of these ingredients not found in regular ice cream may actually contain sleep-promoting effects. "Taking a look at the ingredients, I definitely see where they [Night Food's creators] are coming from. There are ingredients that have evidence of helping improve sleep quality," Matteo said. According to several studies, zinc, magnesium and glycine (key ingredients in Night Food) may help people who suffer from insomnia get a better night's rest and feel less fatigued. Calcium can also increase magnesium and calcium absorption to some degree, Matteo noted, and it also helps the brain use tryptophan to naturally make melatonin, which helps to induce sleep. Unlike many over-the-counter sleep supplements, Night Food contains no melatonin. But don't take that as a free pass to do whatever you want before bedtime. It's never advisable to drink espressos all afternoon, then eat a pint of ice cream and expect to fall asleep right away. 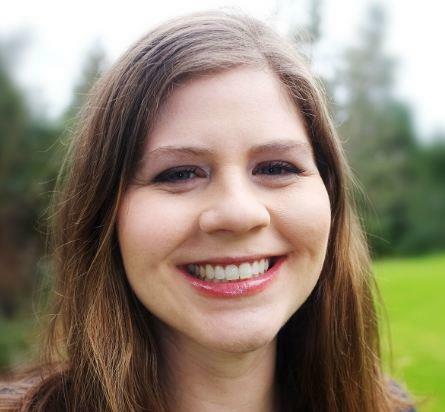 "General behavior can have a massive impact on sleep," Matteo said. "If someone has unstable sleep routines, or [bad patterns of] caffeine or alcohol consumption — those can all still have a negative impact on sleep." He added that "for some, it's probably helpful. For someone who does a lot of the right things, this might help set the chemical environment in the brain to help sleep." The product's mineral blend provides 10 percent of the recommended daily value of zinc and magnesium, and 20 percent of the recommended calcium daily value, noted Bonnie Taub-Dix, RDN, creator of BetterThanDieting.com, and the author of "Read It Before You Eat It: Taking You from Label to Table." So, simply put, don't expect any miracles. The chicory root does provide good fiber, which is a positive, she added. Night Food contains 6 grams of fiber per serving. She strongly cautions consumers against eating the entire pint, though. Sugar, for example, "seems to play a starring role in those foods to avoid at bedtime," Taub-Dix noted. If you ate a whole pint of certain flavors, such as the Bed and Breakfast flavor, for example, you’d be eating a whopping 40 grams of sugar. "Not exactly a gentle bedtime story!" At first glance and taste, the pints are reminiscent of Halo Top — a whole pint will set you back between 280 to 400 calories and since it's a skim-milk based ice cream, you're not going to confuse it with ultra-rich, super creamy ice cream made with full-fat dairy. Like other low-cal pints on the market, Night Food should be left on the counter to soften for about 15 minutes before eating, which makes it creamier and less icy in texture. Our top flavors were: Cold Brew Decaf (coffee), Midnight Chocolate, Cookies N' Dreams, and Cherry Eclipse. Breakfast in Bed (a maple flavored treat) was definitely on the sweeter side, but was also pretty addictive, and After Dinner Mint Chip, were also delicious and more unique. We found Full Moon Vanilla and Milk & Cookie Dough to be the blandest of the lot. If you like Halo Top, you won't mind the taste or texture of these pints and I thought many of the flavors were delicious. But, sadly, I didn't experience any noticeable difference falling asleep on nights when I consumed the recommended amount. However, for some, the habit of snacking before bed provides a calming ritual, and Night Food simply allows ice cream lovers a slightly healthier way of doing it since it has less sugar and less fat so it's less likely to cause sleep disturbances like heartburn. But again, don't take the low-cal part as an excuse to eat the whole carton in one sitting. Taub-Dix added, "They list the calories of a pint on the front of the label, as if that’s supposed to be a portion size," she said. If you're looking for a different type of sleep-friendly snack, Taub-Dix highly recommends almonds, which also contain tryptophan. The Night Food company is pretty transparent that its product is not meant to be taken as a knock-you-out sleep aid. "The goal of Night Food is to be a best choice for anyone who is already eating ice cream at night, which is tens of millions of people on any given night. It's not a sleep aid, but with so many people already eating ice cream before bed, our team of sleep and nutrition experts worked to give them a better, healthier, more sleep friendly option," said Michael Breus, a clinical psychologist and sleep expert, who helped develop the ice cream. If you're really having sleep troubles, nutrition experts advise trying a few home remedies first and consulting a physician. "Prioritize the most important things first — general exercise, nutrition, sleep routine," Matteo added. "For someone who sleeps with the lights on, and TV blaring, though, this may not really matter." Taub-Dix advised anyone snacking at night to heed the following recommendation: "The best advice about your bedtime snack is that whatever you eat, keep portions in check and try to limit sugars and fats. A bowl of your favorite cold cereal with skim milk or almond milk with a few almonds sprinkled on top would be a great snack to rock you to sleep." Night Food is rolling out in stores nationwide throughout 2019.